When you need a restaurant kitchen design company, you need the experts at Atlantic Equipment. Located in Danville, Pennsylvania, Atlantic has been working hand in hand with clients in the food service industry for over 25 years. 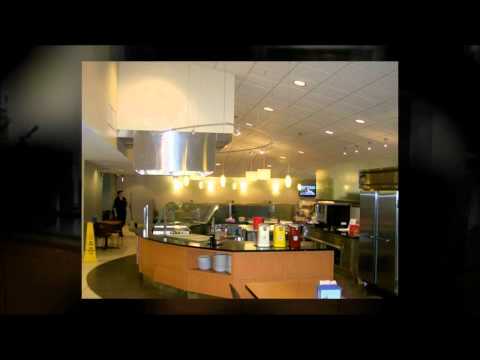 Specializing in commercial kitchen design, restaurant kitchen layouts, restaurant kitchen floor plans, and more, Atlantic has worked with customers ranging from small restaurants to large university cafeterias. The knowledge acquired through these years of experience, combined with cutting edge technology and a passion for customer service, have made Atlantic Equipment the clear choice for restaurant kitchen layout and design jobs. In addition to restaurant kitchen design, Atlantic Equipment handles installation, fabrication, specialty services, and equipment procurement for clients throughout the food service industry. This breadth of experience gives us valuable insight into the needs of our clients. In many cases we are able to spot potential problems even before they appear to our clients—saving them money and frustration down the road. Atlantic is proud to employ our own CAD and Design Department, Field Installation Teams, Parts & Service Department, and NSF-Approved On-Site Fabrication Shop. These resources enable us to handle projects completely in-house—eliminating inefficiencies and miscommunications that often occur between contractors. As a result, we’re able to offer better service than the competition—and at better rates. It’s one thing to create a restaurant kitchen design that looks good on paper. It’s quite another to create a design that is practical, efficient, safe, and cost effective. Because of our extensive experience with implementation, installation, and renovation, Atlantic has a firsthand understanding of what works and what does not. As our customer, you get the benefit of this knowledge—and you can rest assured that the experts at Atlantic will get the job done to your satisfaction. Whether you are looking for a restaurant kitchen floor plan or a commercial kitchen design layout, Atlantic can provide exactly what you need. Our employees have over 300 years of combined experience—priceless knowledge which enables them to make the right decision time and time again. Our team enjoys the benefits of cutting edge design equipment, including the latest CAD applications and technology needed to design complex layouts and concepts for our customers in the commercial dining industry. Our equipment is used to produce floor plans, layouts, renderings, and the documentation that is essential to getting each job started on the best possible track. Atlantic Equipment has built a reputation as the leaders in the restaurant kitchen design industry. A quick look at our history of successful projects and satisfied clients makes it easy to see why. Our team is passionate about our work—and passionate about satisfying each and every one of our clients. When you partner with Atlantic, our goal isn’t simply to meet your expectations… our goal is to exceed them.